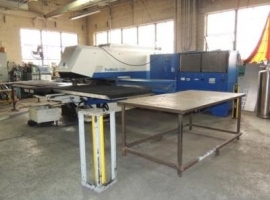 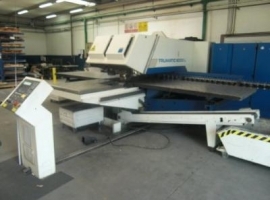 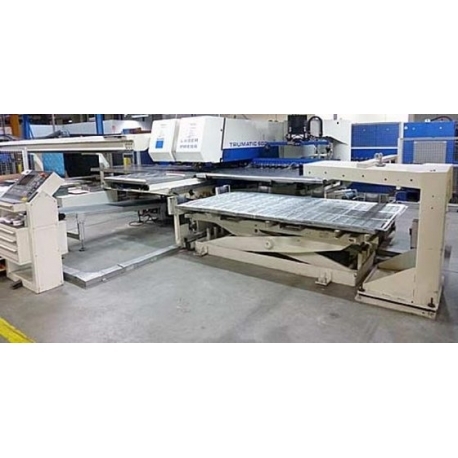 Punch Laser Machine Trumpf TC 600 L used machine Laser: 2400W CO2, punching force: 220kN, sheet thickness: 8mm, worpiece weight: 200kg, operating hours: approx. 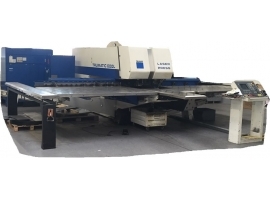 120000h, laser hours: approx. 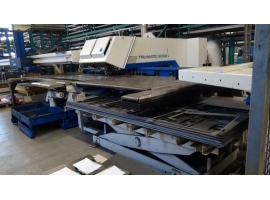 105000h, control: Trumpf CNC / Siemens Sinumerik 840D.